Rabies is one of mankind’s long-feared diseases. And rightfully so: for centuries, a bite from a crazed, slavering animal was almost always a guarantee of a slow warping of the mind and a pained, gruesome demise. A death sentence. I just recently finished reading about our long and tragic relationship with rabies in Rabid: A Cultural History Of The World’s Most Diabolical Virus by Bill Wasik and Monica Murphy, easily one of the finest non-fiction narratives on infectious diseases. The husband-and-wife duo have synergistically joined forces as a journalist and public health veterinarian to write a witty and thorough telling of the history and cultural mythology of the virus and the animals that it infects, us included. The book charts the earliest mentions of rabies treatment in ancient Greek and medieval Islamic medicine, and follows its manifestations in folklore, literature and cinema, and to its eventual taming in the development of Pasteur’s hard-won vaccine. It’s a delightful read spanning the stories of Odysseus and American frontiersmen, of the Brontë sisters and Stephen King, and of Christian saints and vampires. 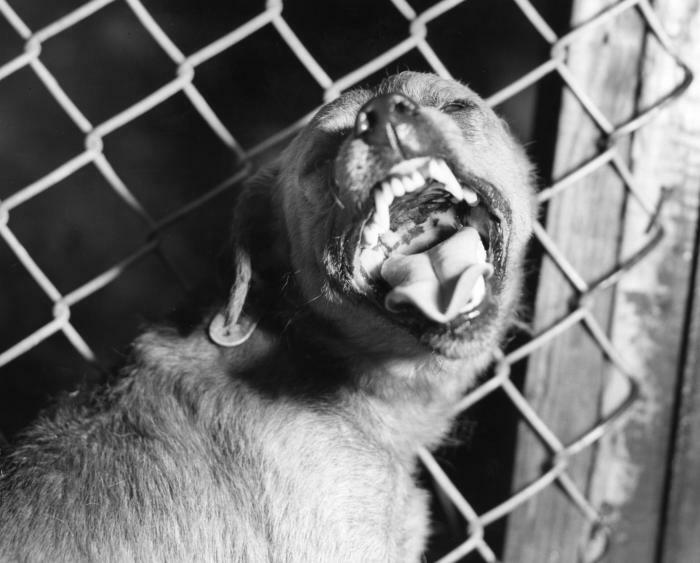 A canine suspected of being rabid that had been exhibiting symptoms of rabies, including restlessness and overall uncharacteristic aggressive behavior. Image: CDC. Between the fifteenth and the eighteenth centuries, Europe gestated two enduring legends whose part-human, part-animal villains bite their victims, thereby passing along their own degraded conditions. Rabies is a scourge as old as human civilization, and the terror of its manifestation is a fundamental human fear, because it challenges the boundary of humanity itself. That is, it troubles the line where man ends and animal begins – for the rabid bite is the visible symbol of the animal infecting the human, of an illness in a creature metamorphosing demonstrably into that same illness in a person. Doesn’t this sound familiar? It’s the de-evolution of man into something not quite human but subhuman. An unrecognizable family member demonically possessed by some unfathomable but instantly recognizable animal instinct. The frothing at the mouth, the lucid madness, the lost humanity: it’s all here and stems from our ancient, tragic history with rabies and canines. To be human is a sacred and inviolable thing; rabies infection breaches that principal. The animal bite and the transmission of disease represent a moment of transgressive contact between animal mouth and human flesh, the possibility of losing one’s humanity and regressing to an animal state. Our horror stories capitalize on this lurid fear. Our horror stories and long-constructed mythology of vampires, werewolves and the zombies that now reside in the modern vernacular are the long-lasting symptomatology of man plagued by an insensate virus. 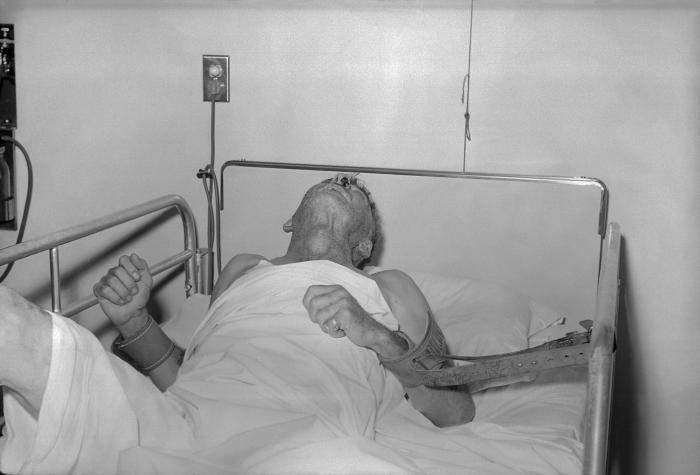 Though humans do not spread rabies – not only do we lack the sharp teeth, but the virus doesn’t prompt the infected to bite and is not shed copiously in the saliva – the potential of disease transference and the psychological horror of infection is still a marvelously rich goldmine to be pilfered and rehashed for an eager public. We’re only halfway through 2013 and already have been exposed to cinematic gems such as World War Z, Warm Bodies and Go Goa Gone, all films relying on the biologically transformed, slavering human. And there’s many, many more to come and, of course, the collective trauma of the Twilight series to be dealt with. Rabies is of the world’s most interesting zoonotic diseases, the one that “has always shaded into something more supernatural: into bestial metamorphoses, into monstrous hybridities.” It is this concept of transmogrification, of irrevocable and deadly change that haunts our movie theatres, campfire stories and imaginations to this day even as the rabies virus’s grip on mankind’s health has diminished and faded. Go! Go and buy this wonderful book, Rabid: A Cultural History Of The World’s Most Diabolical Virus.